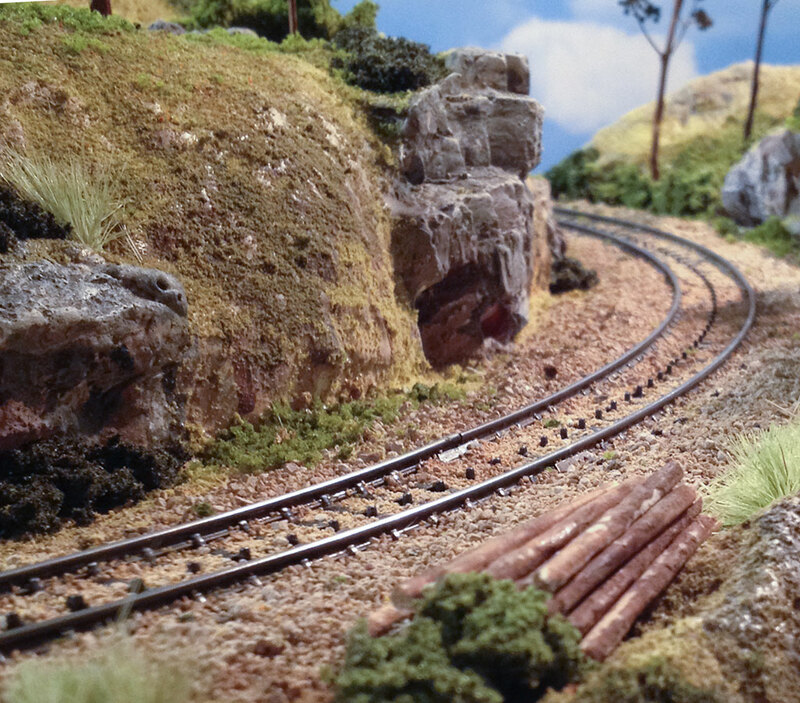 Welcome to the home of marklinofsweden: mrr-tutorials.com! 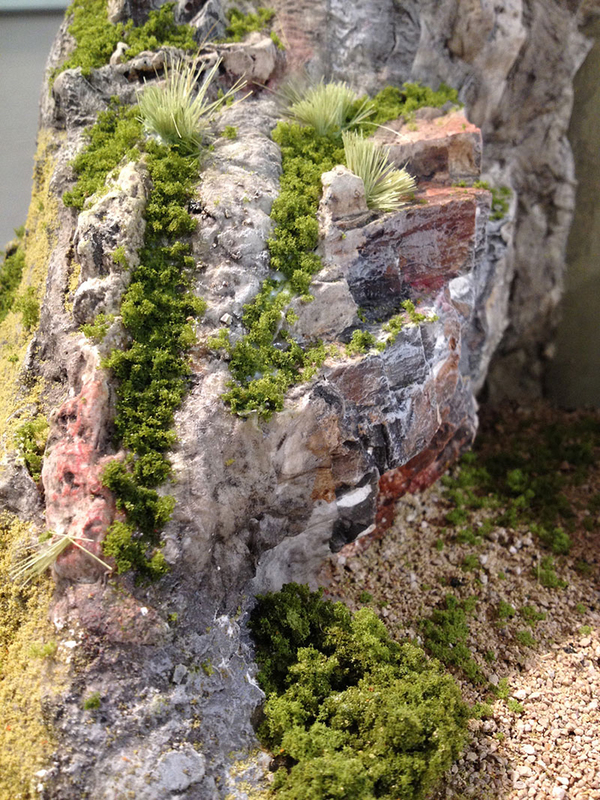 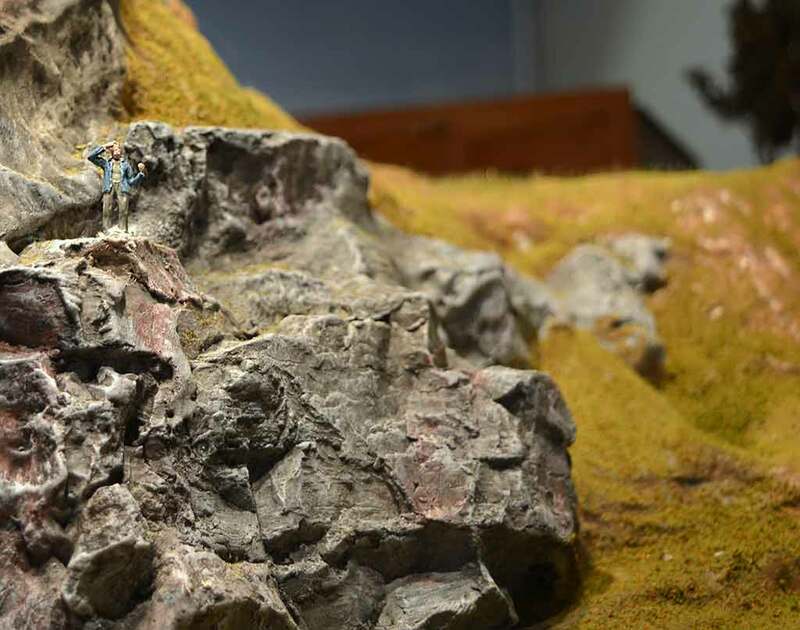 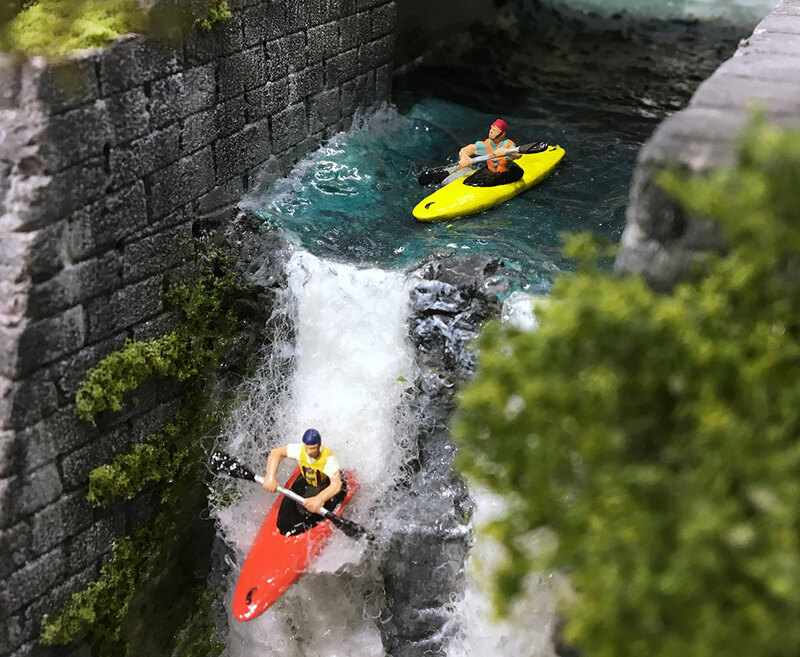 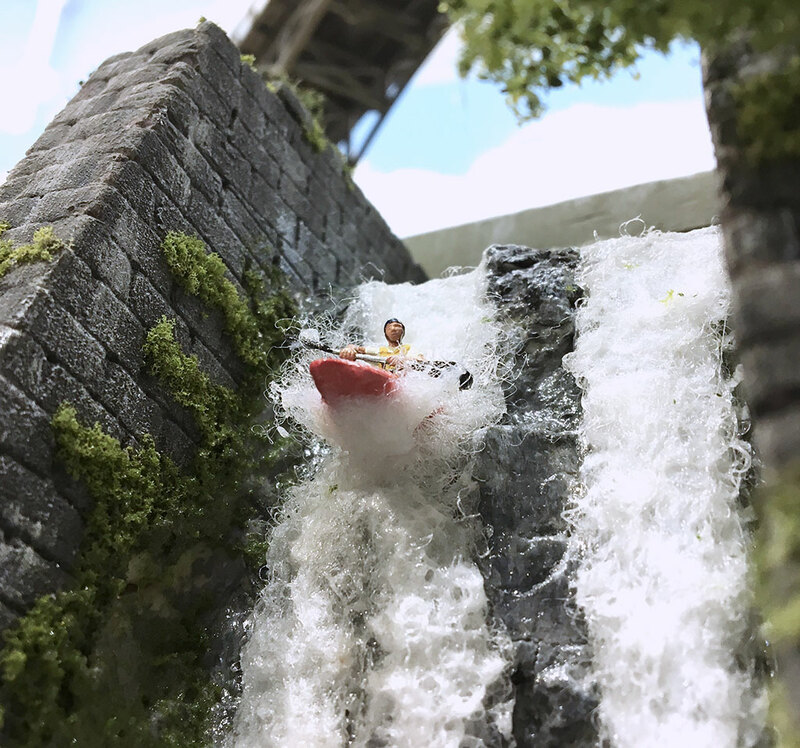 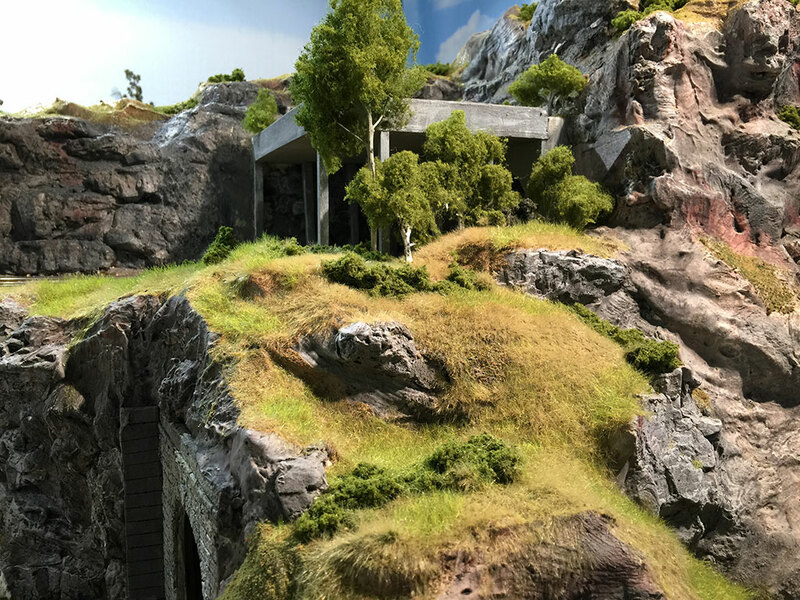 On this page you will find a topic based video index of all the tutorials and how-to videos published about miniature terrain, landscape and diorama. 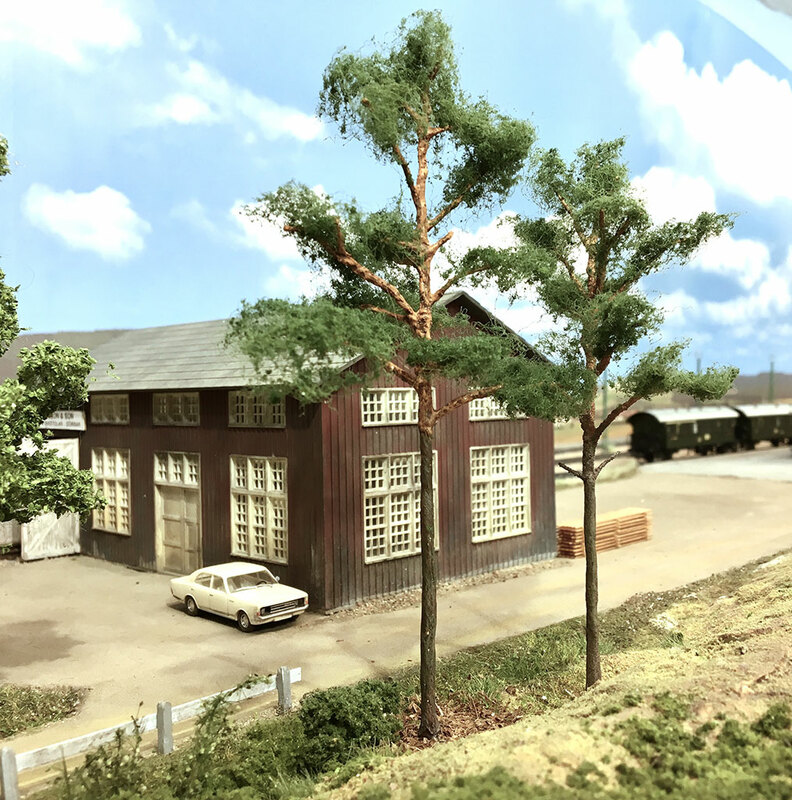 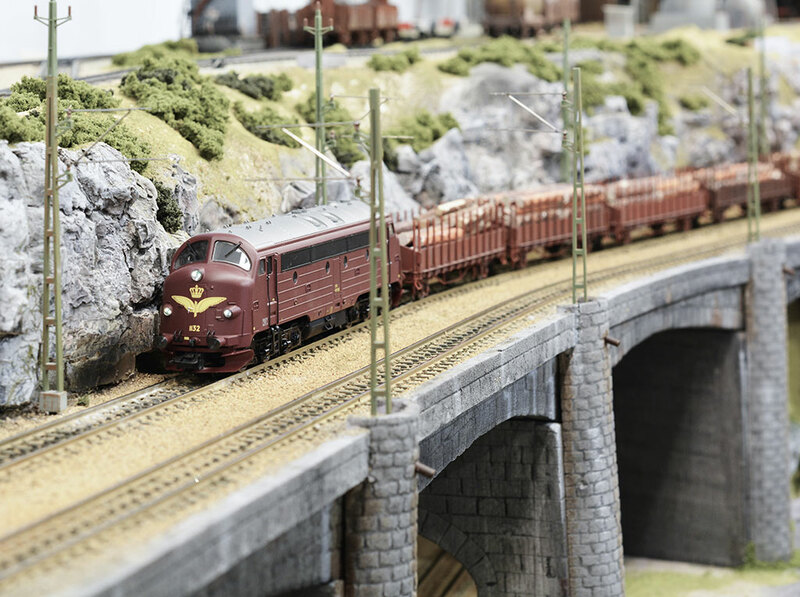 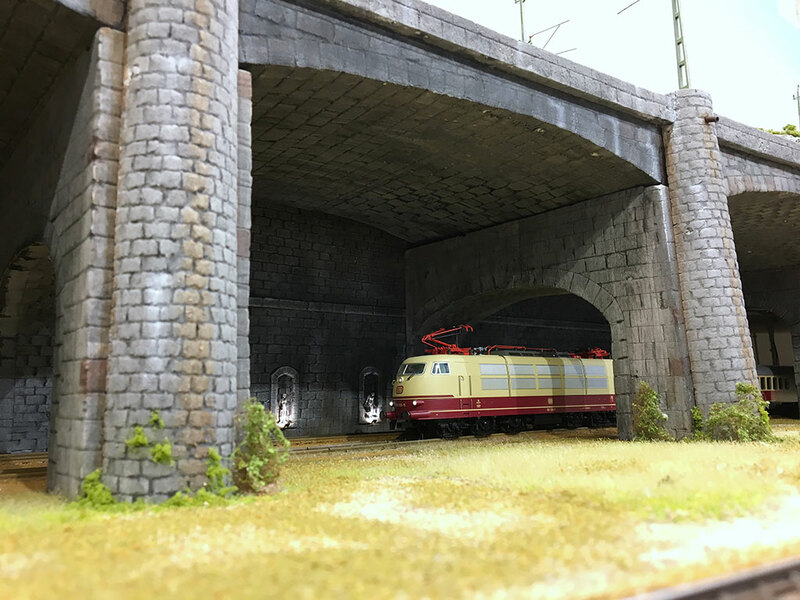 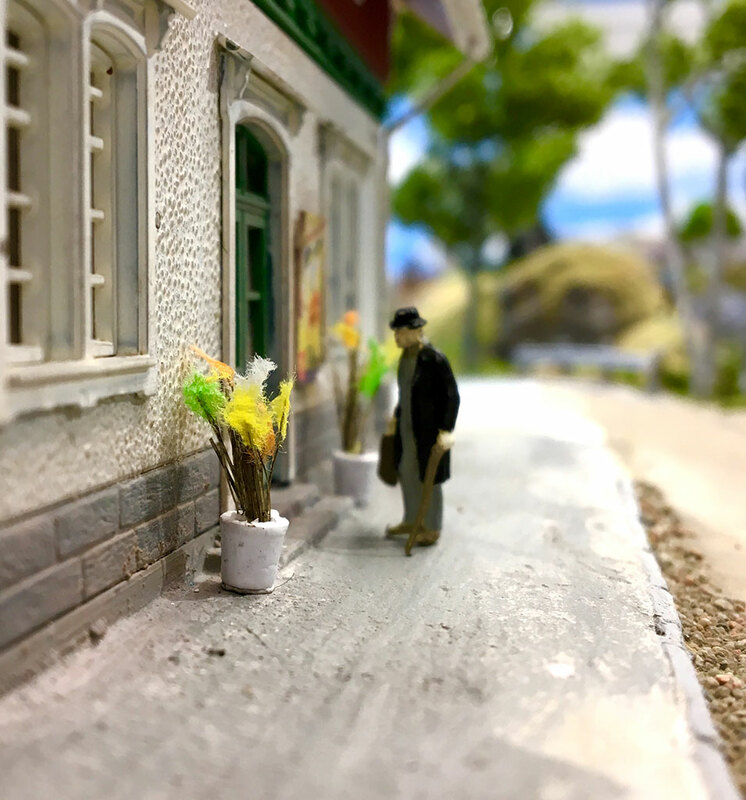 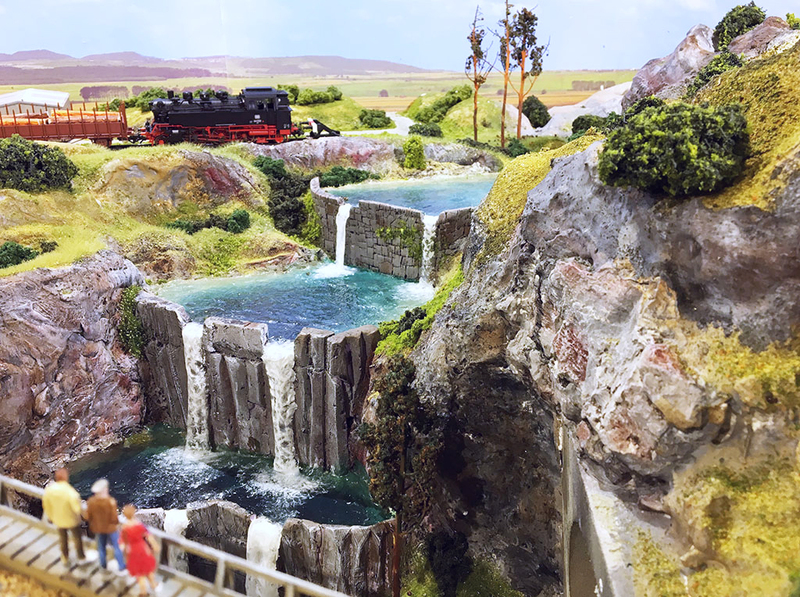 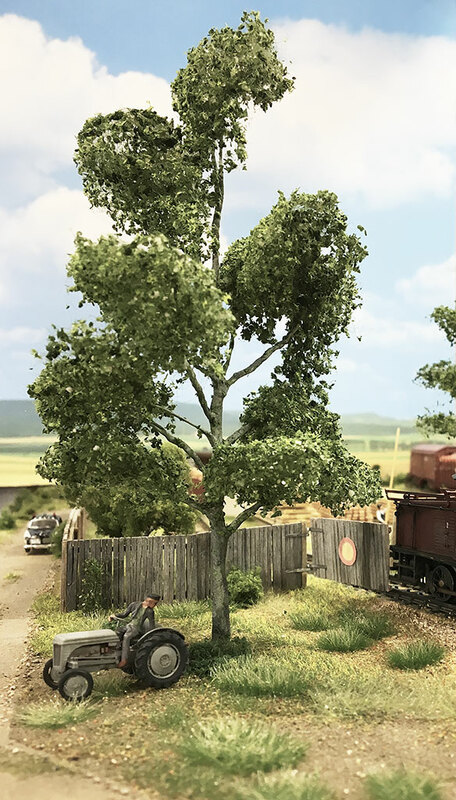 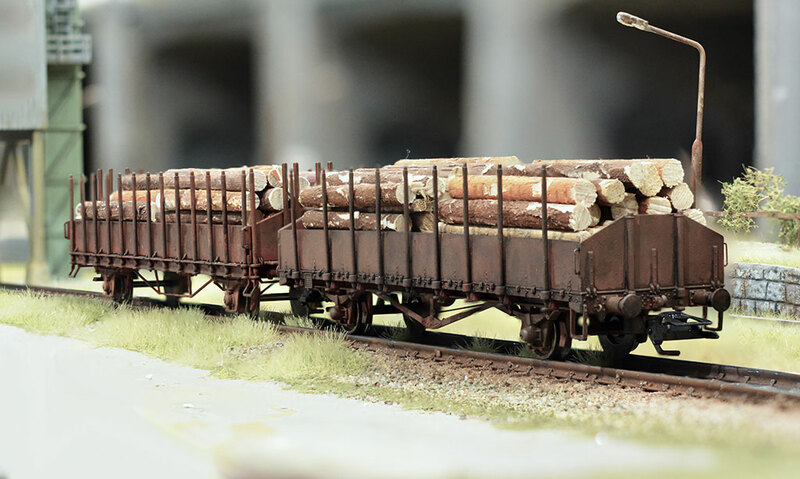 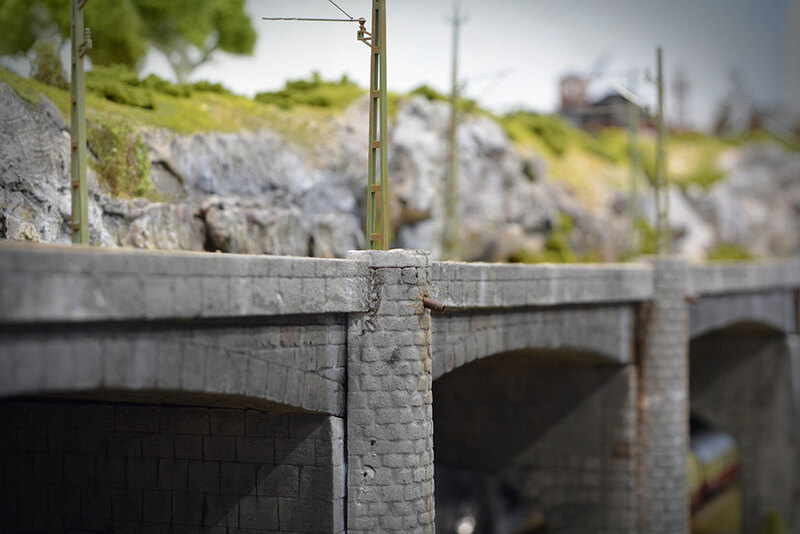 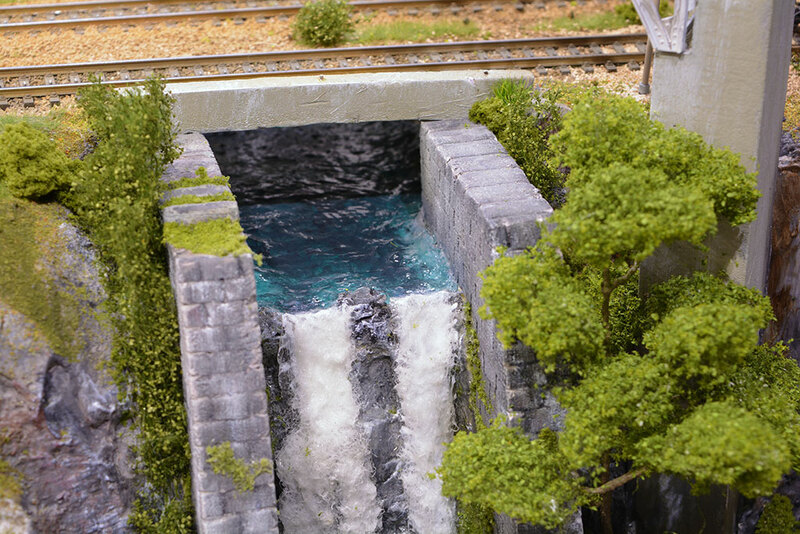 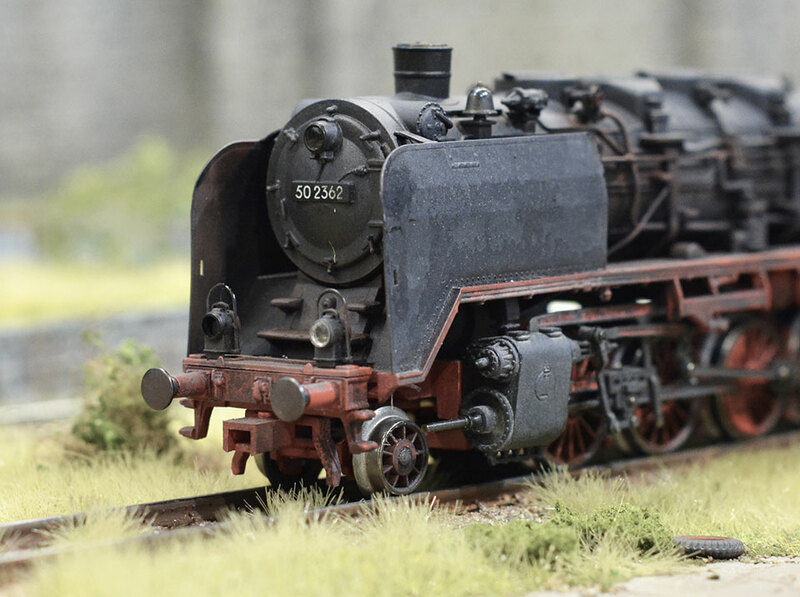 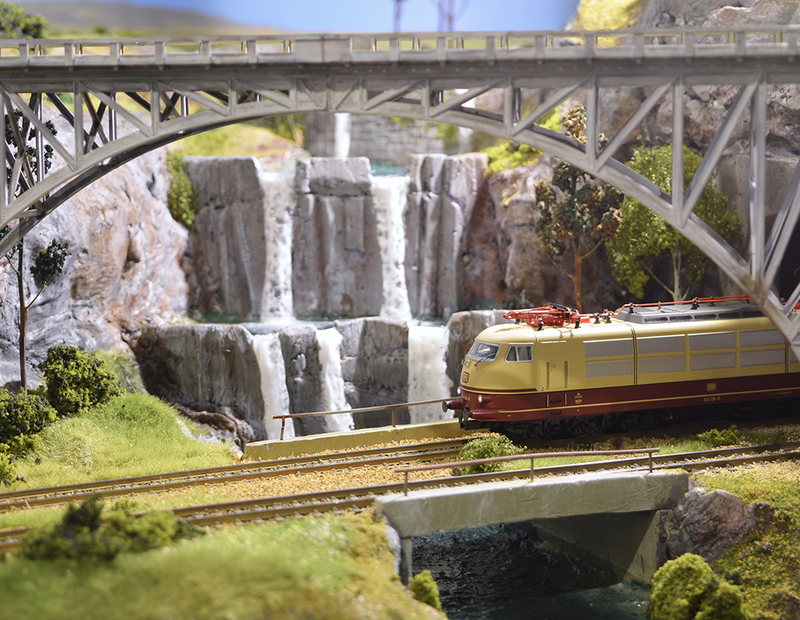 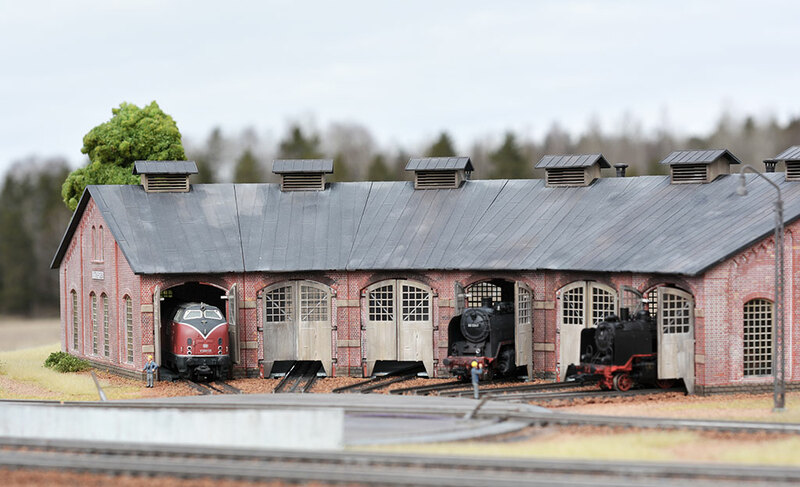 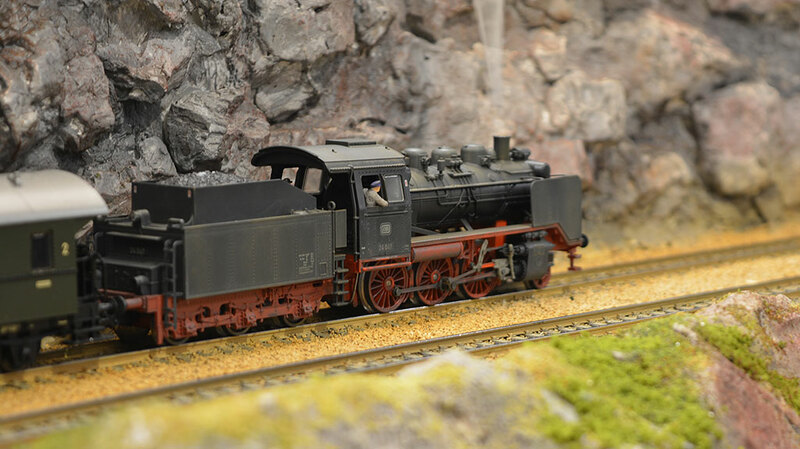 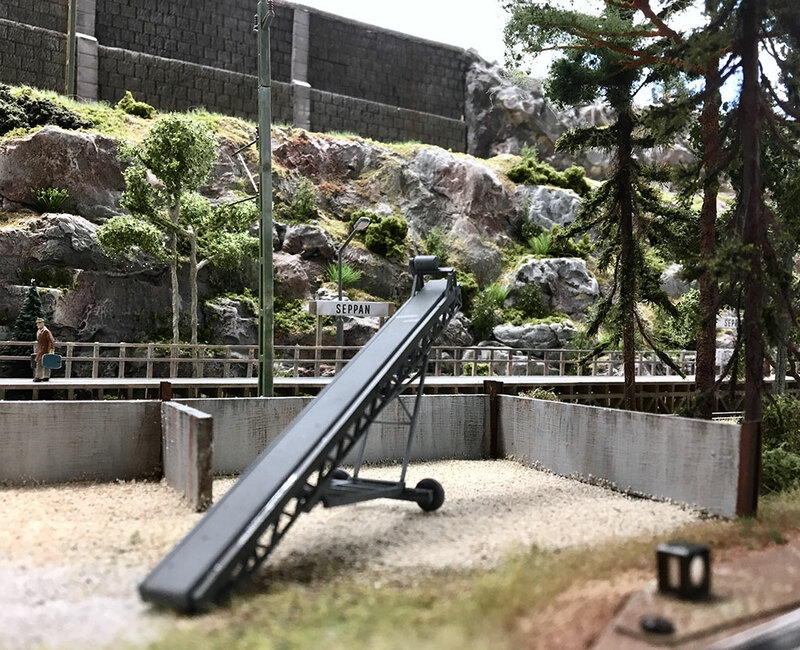 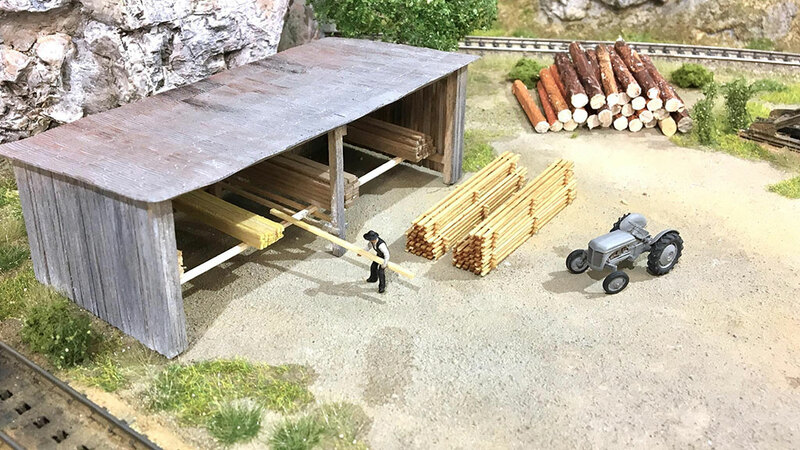 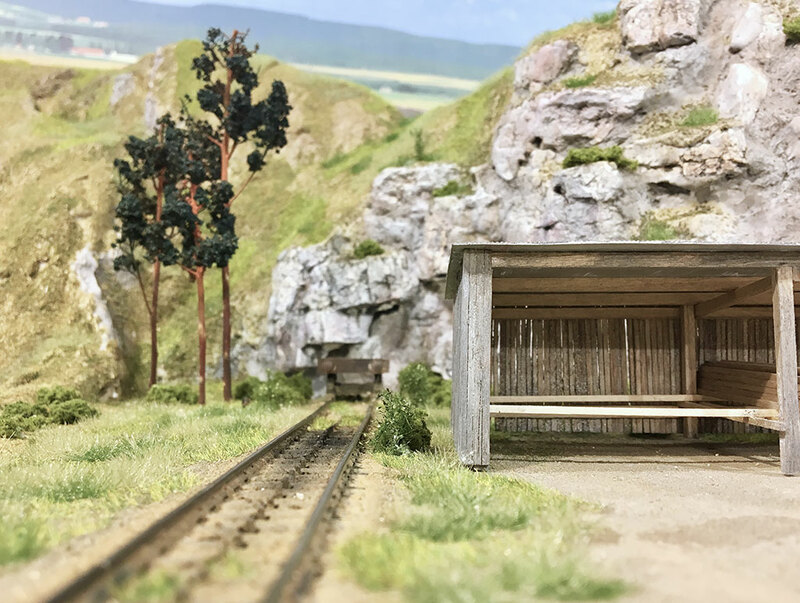 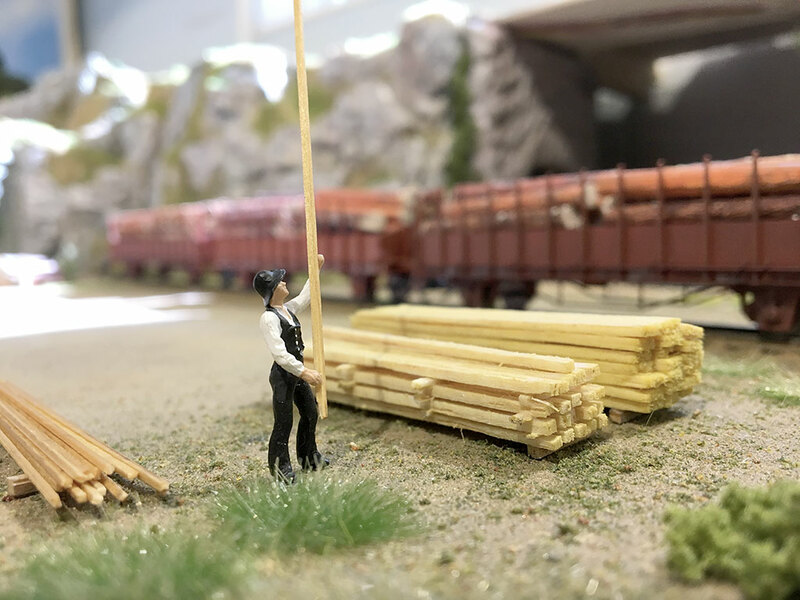 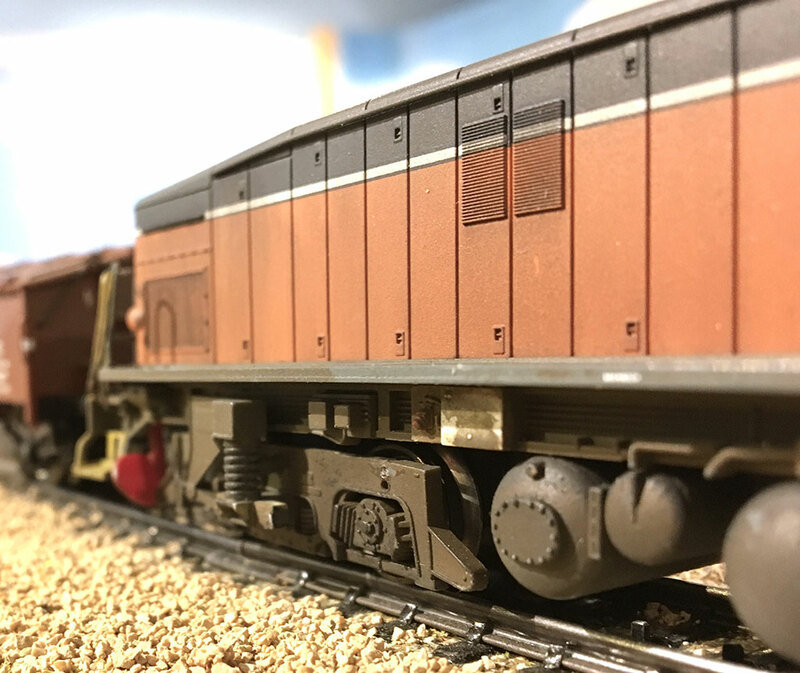 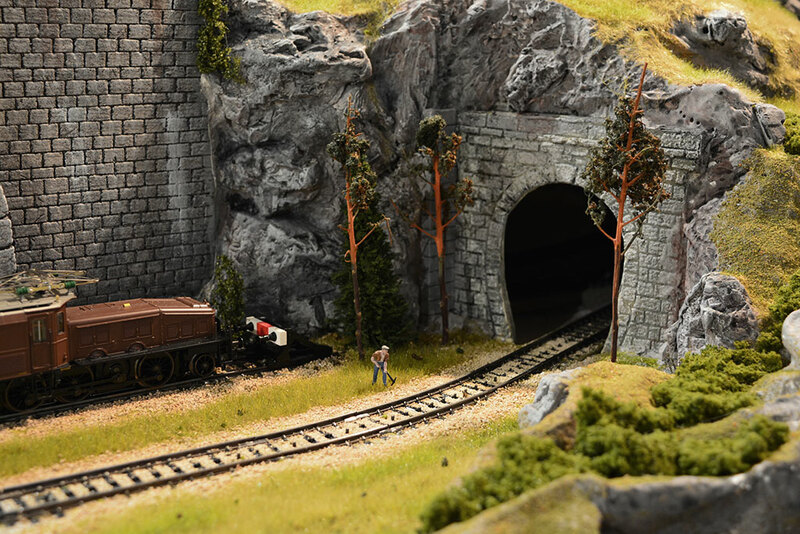 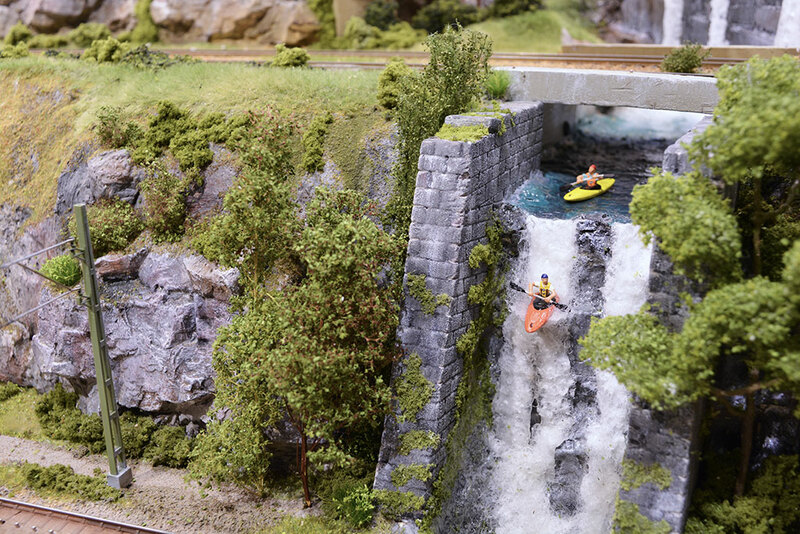 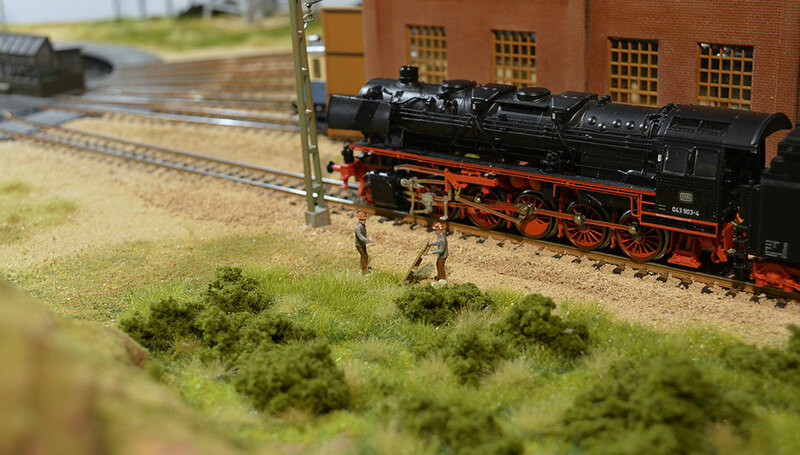 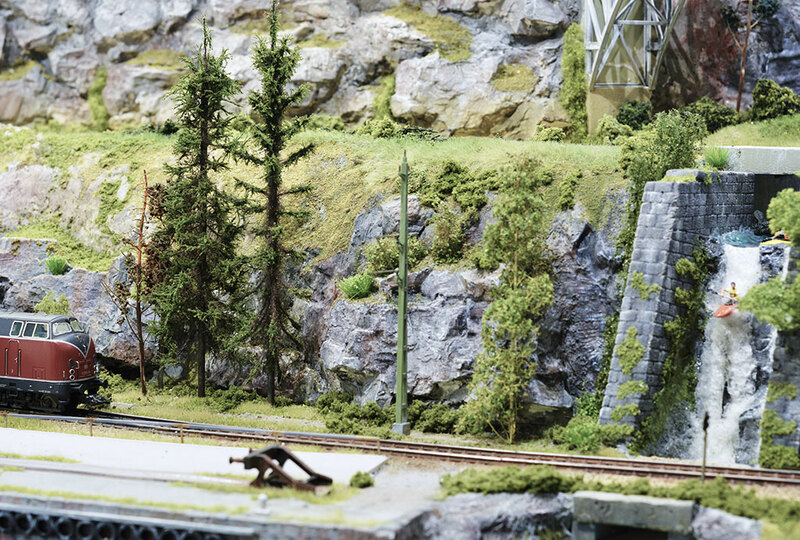 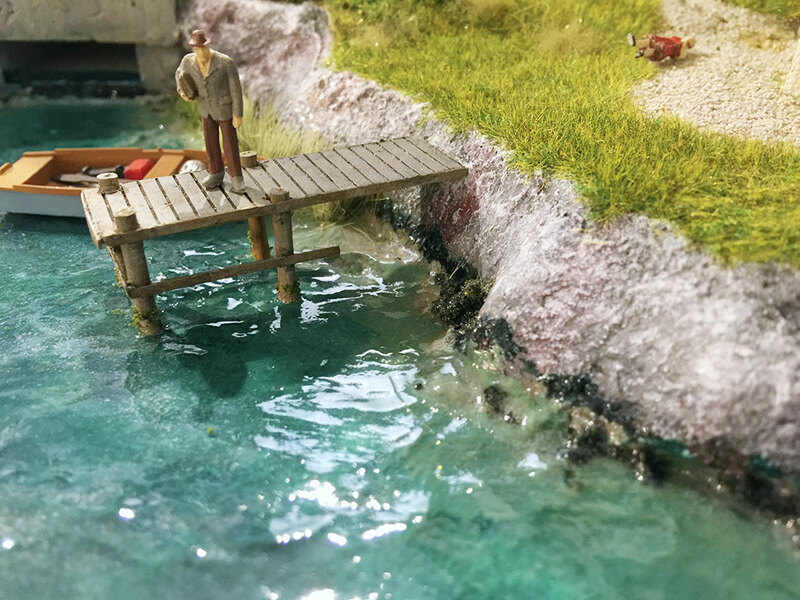 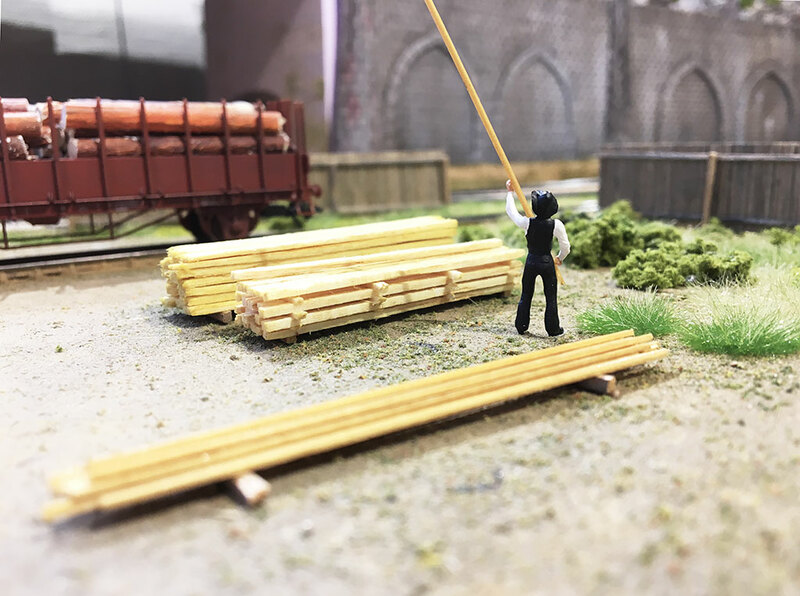 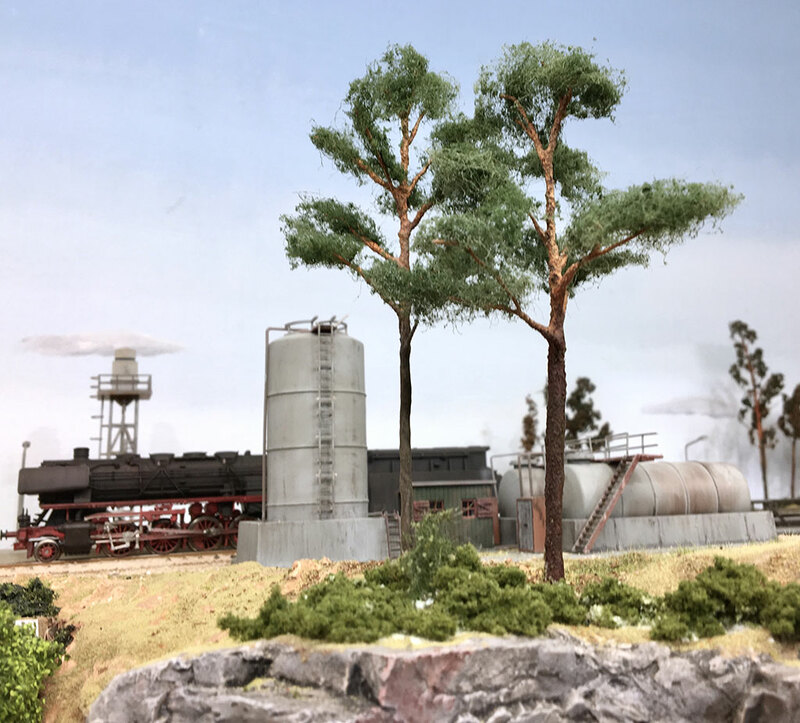 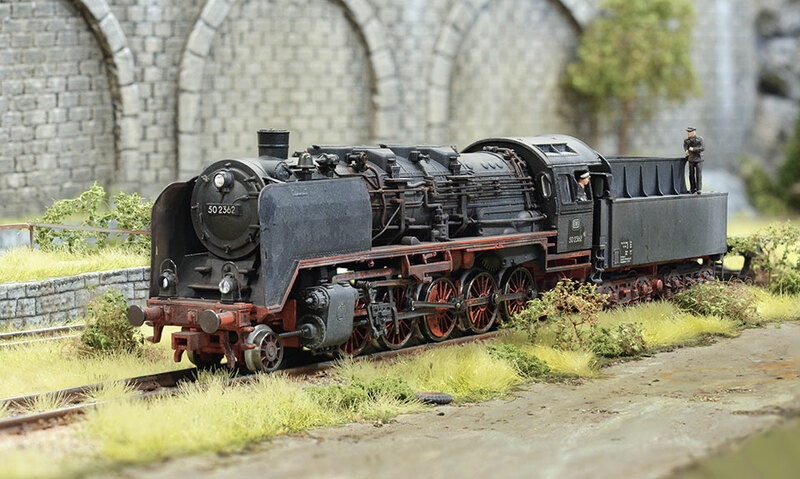 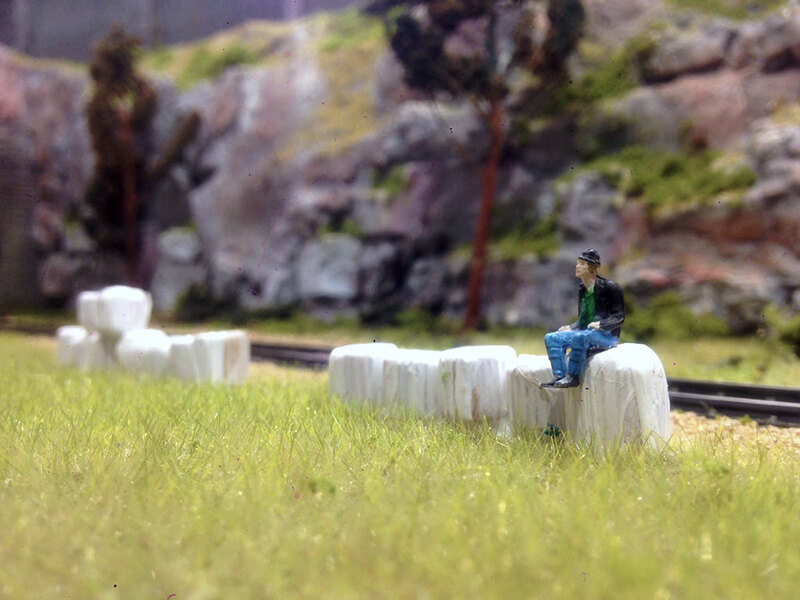 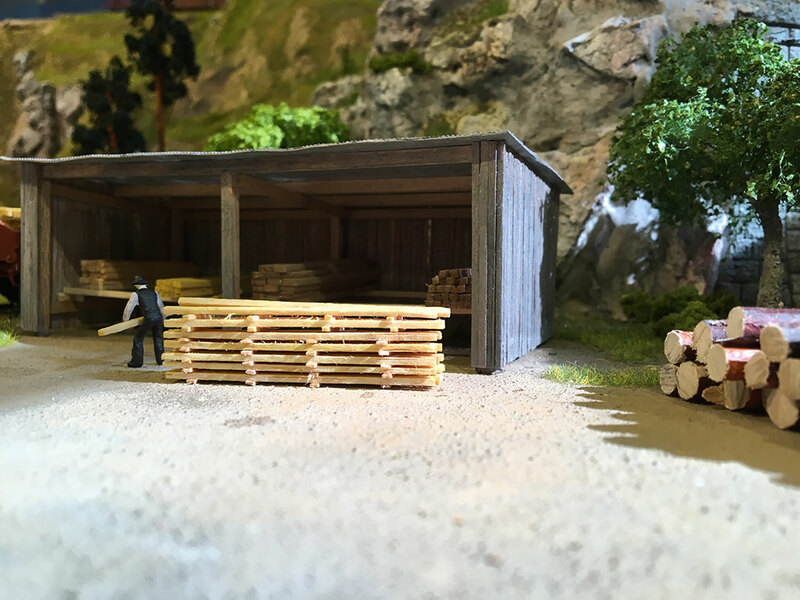 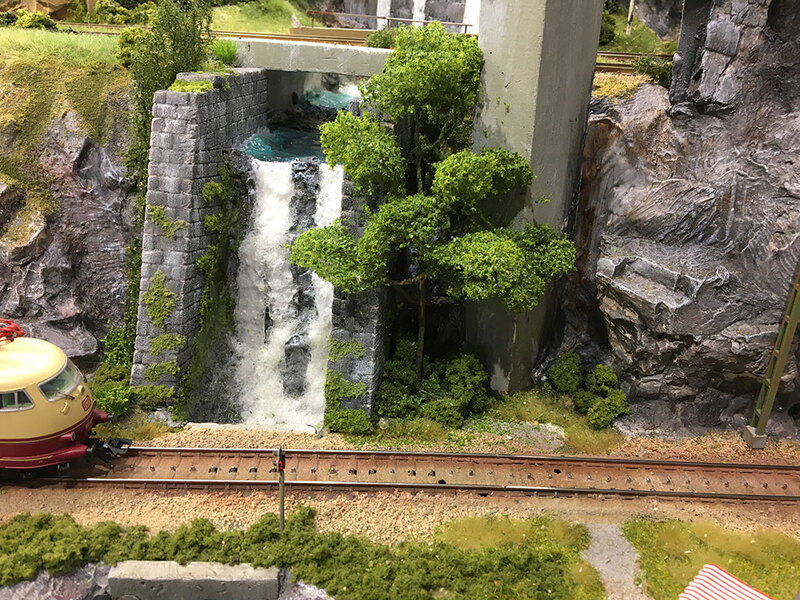 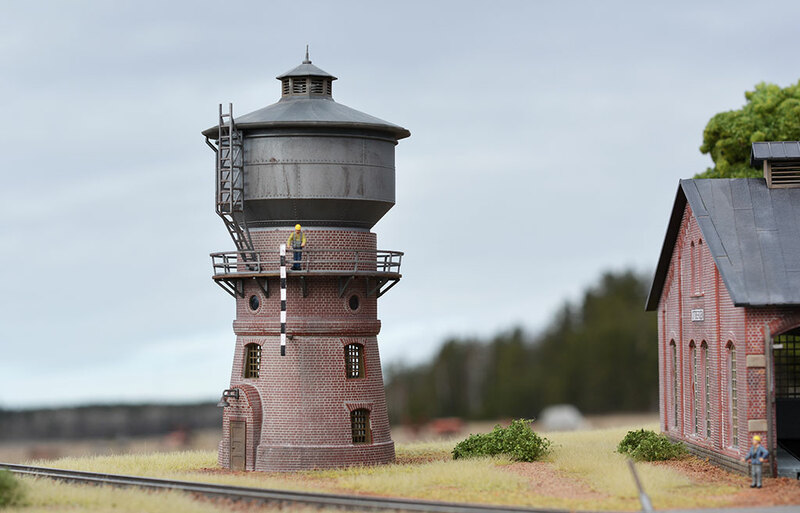 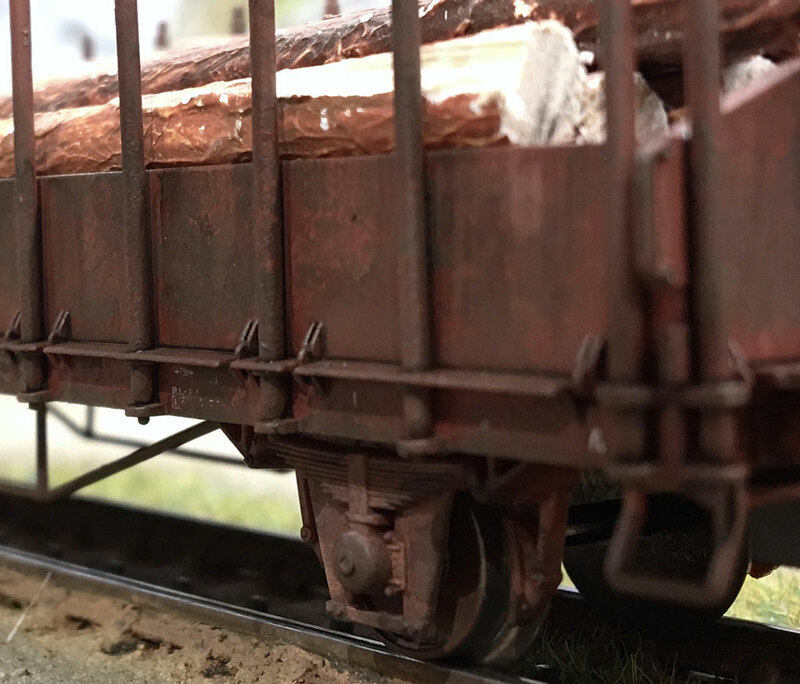 Here you´ll find the easiest methods to get that awesome look and functionality of your model rail road, miniature terrain or diorama at a reasonable cost. 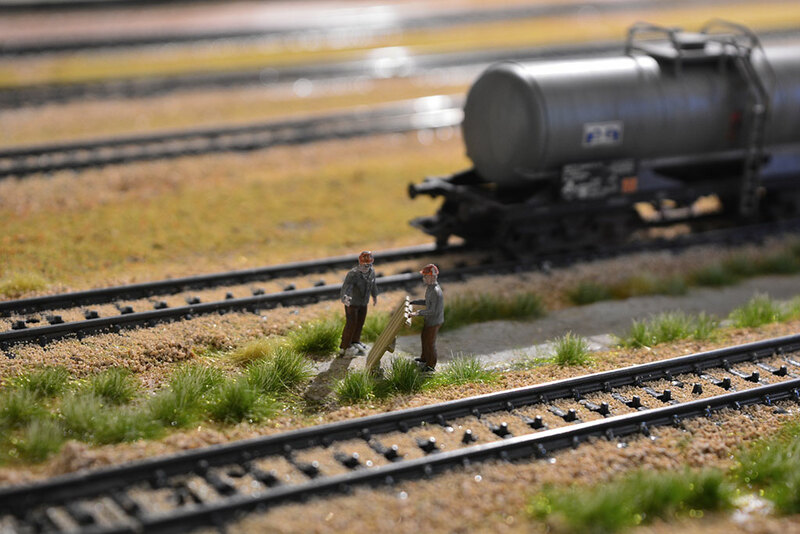 We are presenting the methods, which can be successfully used without a lot of artistic skills. 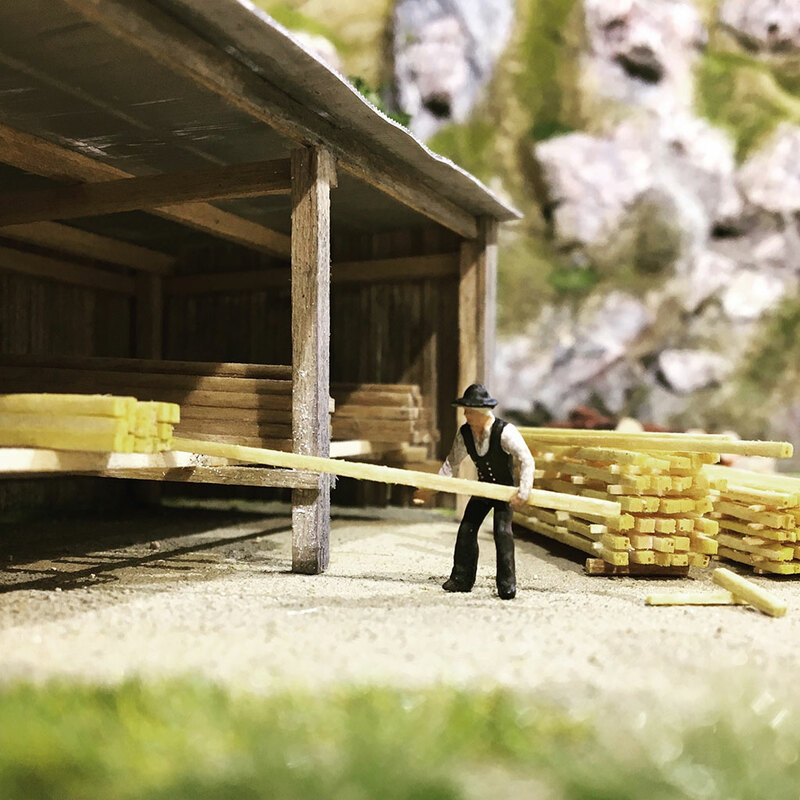 Everyone should be able to succeed! 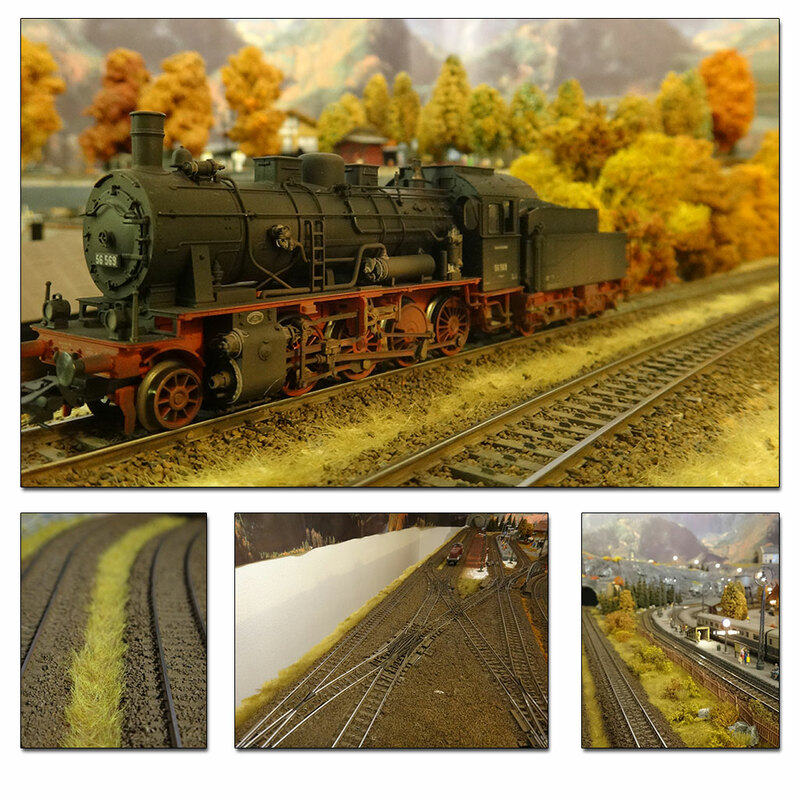 On this channel you will also find updates and video documentaries from major events and exhibitions, as well as awesome layout videos. 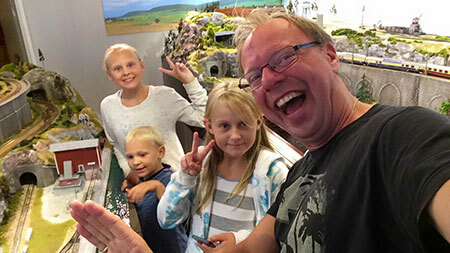 Link to the Youtube channel "marklinofsweden"
Please subscribe and get a notification when new tutorials are released. 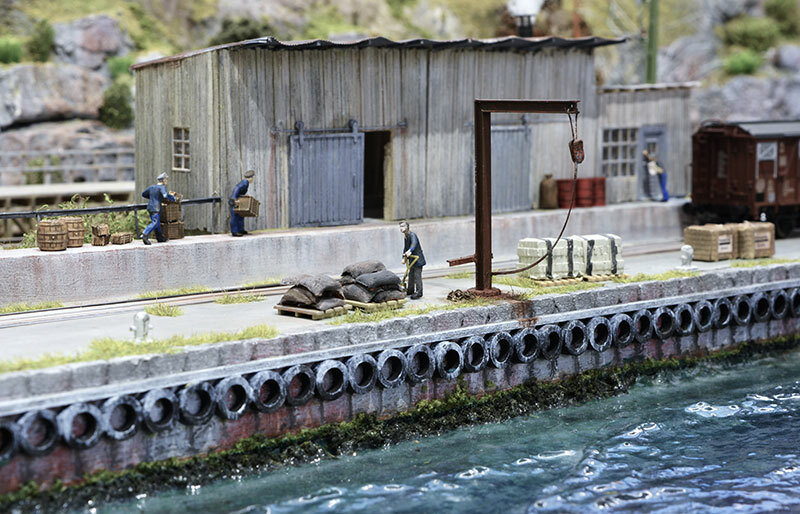 Model a harbour with realistic water surface made of toilet paper, glue and varnish. 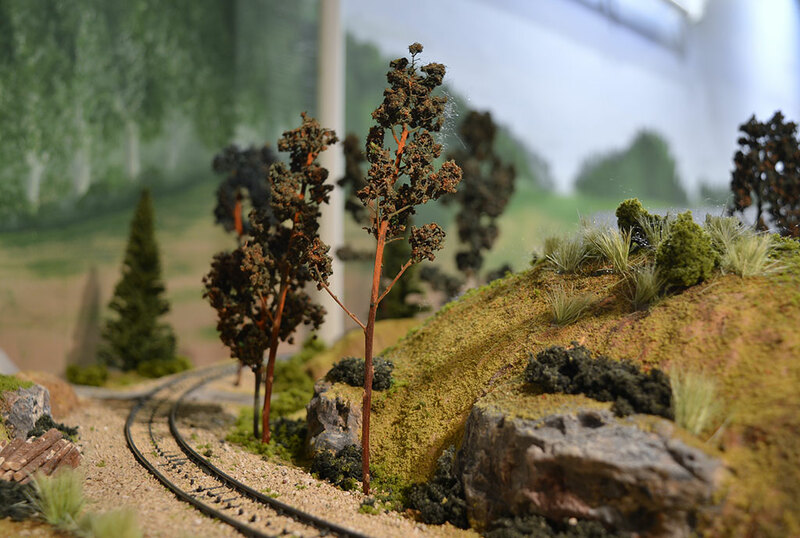 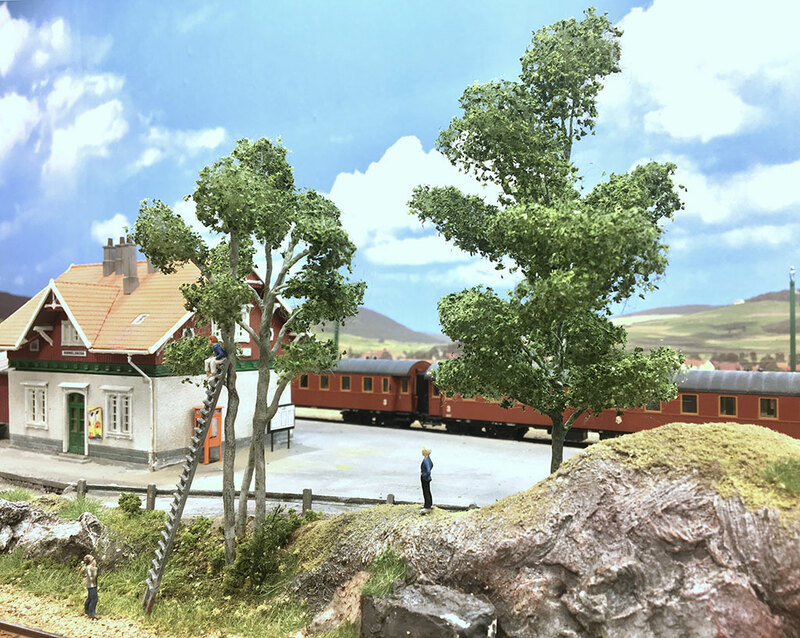 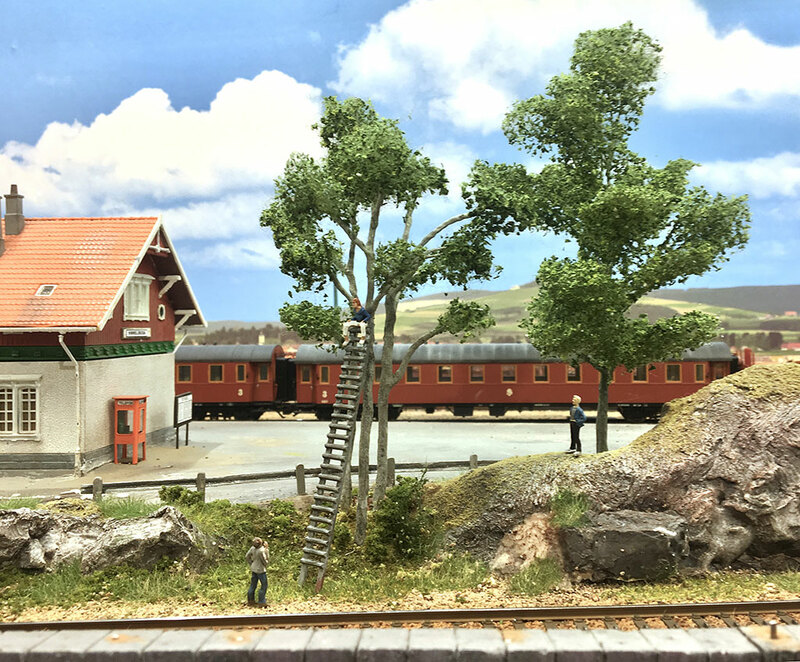 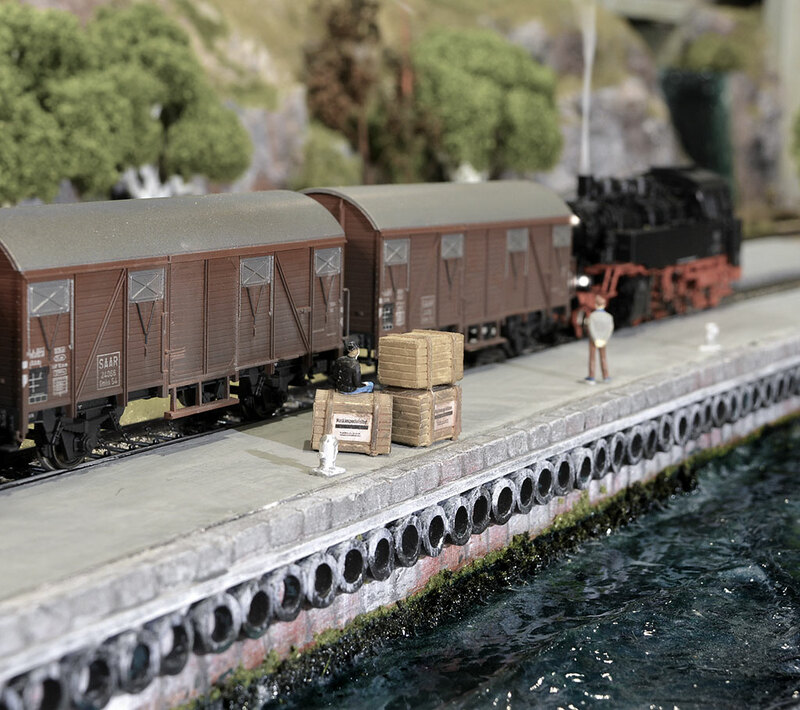 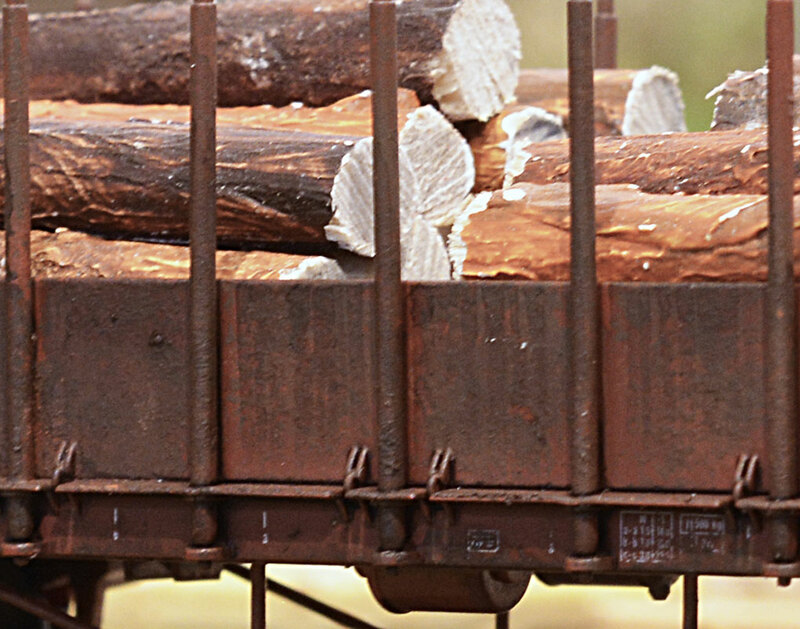 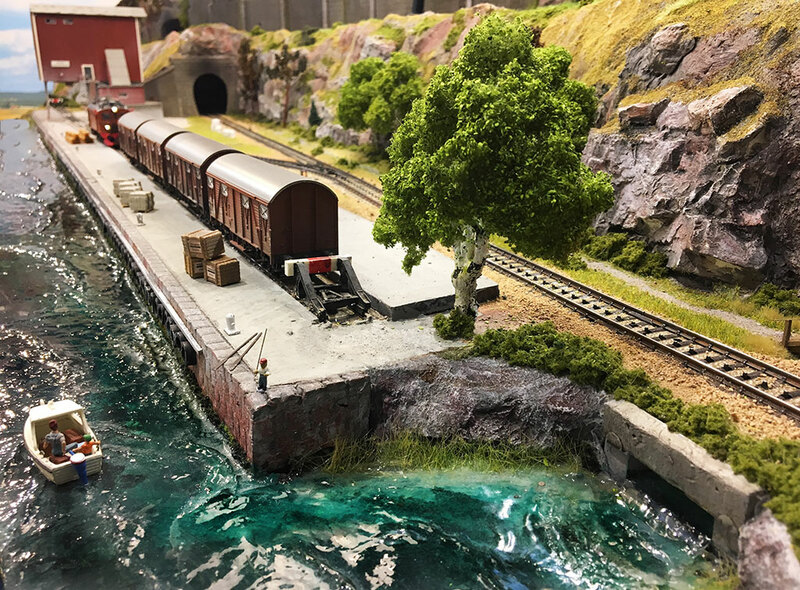 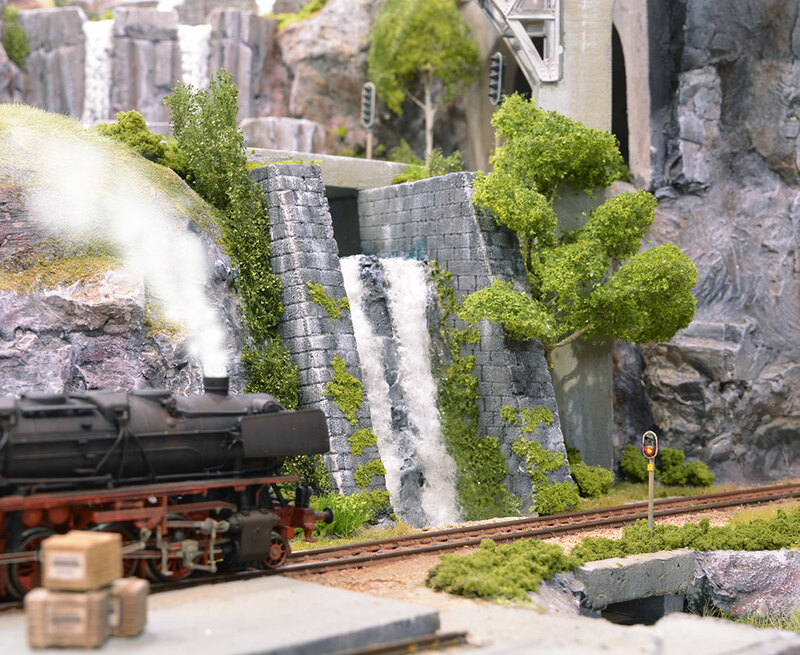 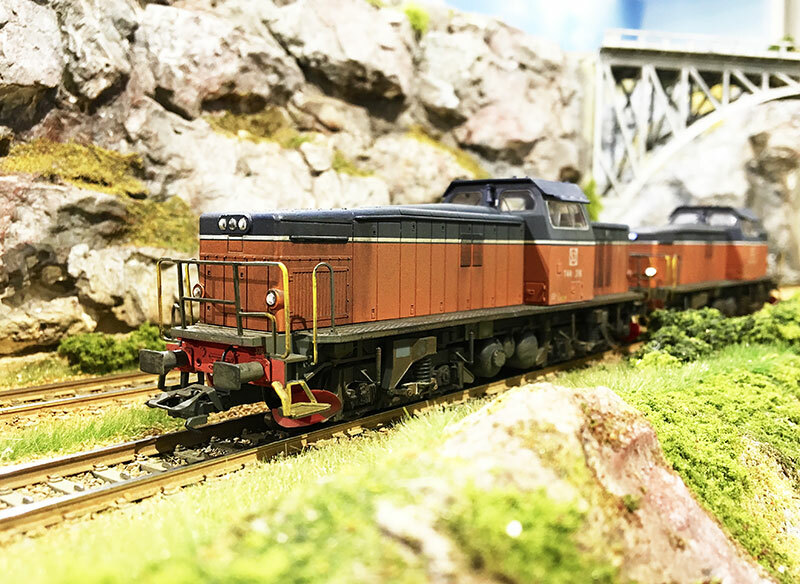 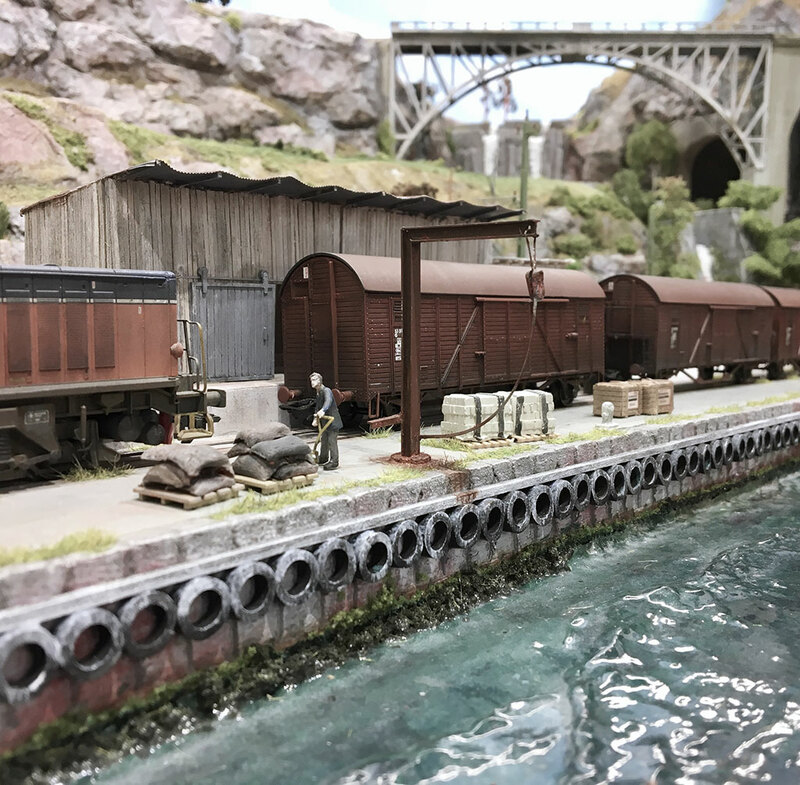 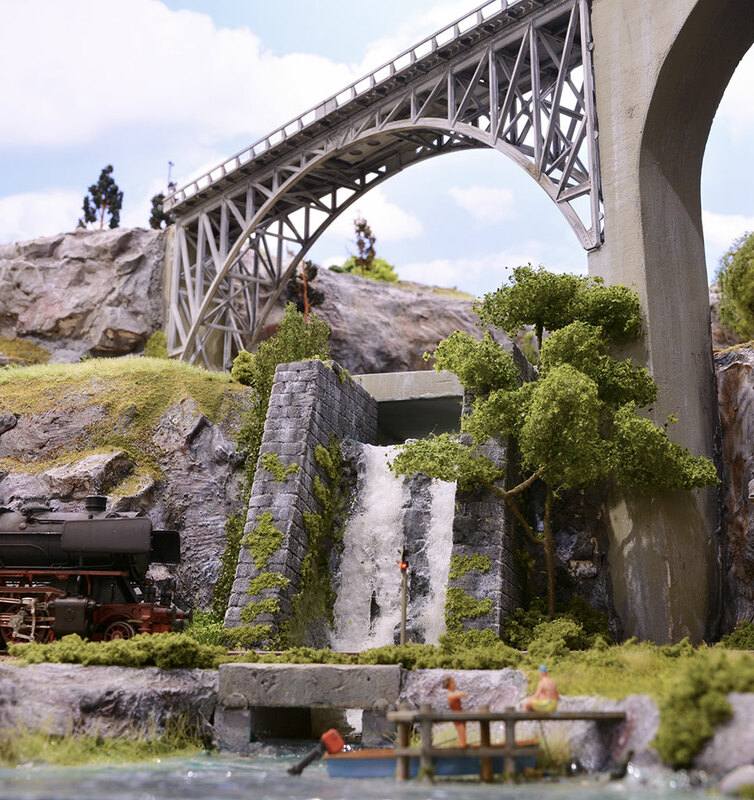 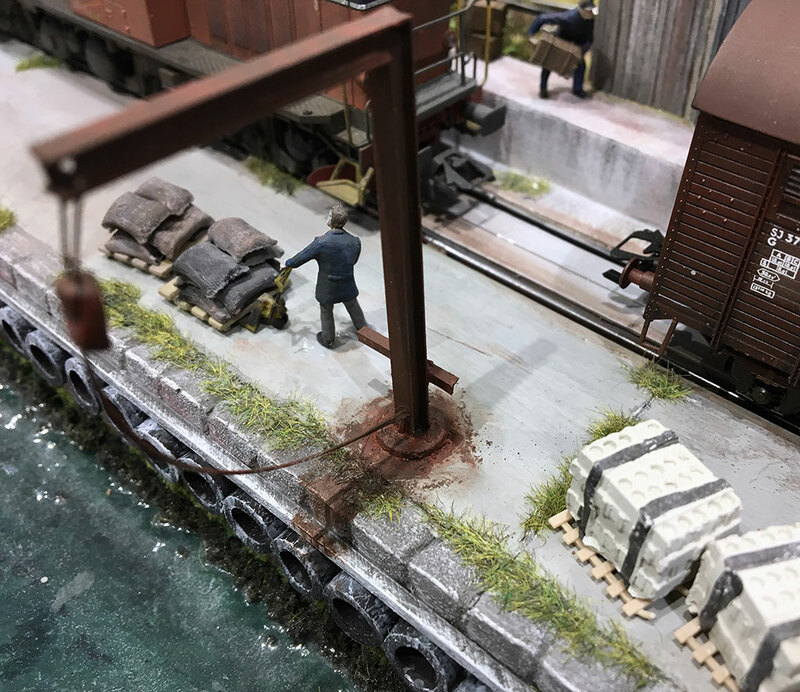 A harbour adds lots of freight options for the model railroad, as well as being a real eye catcher! 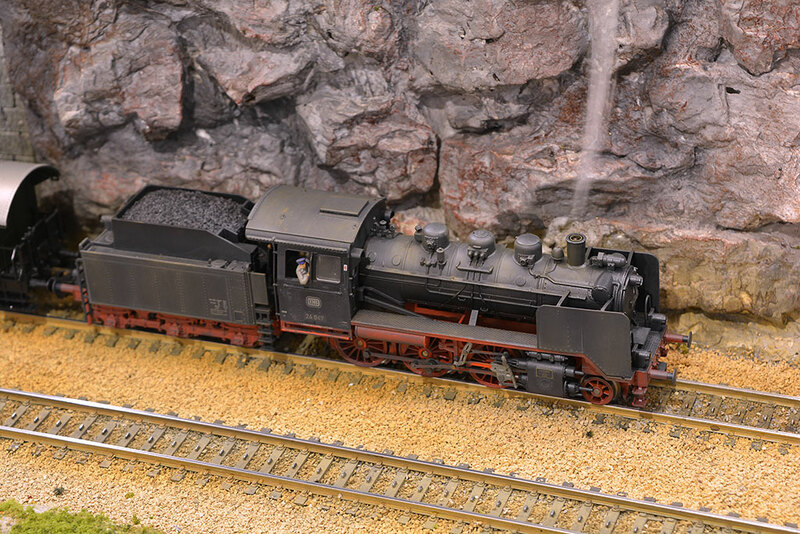 Paint and assembly instruction for kits with resin- and etched parts. 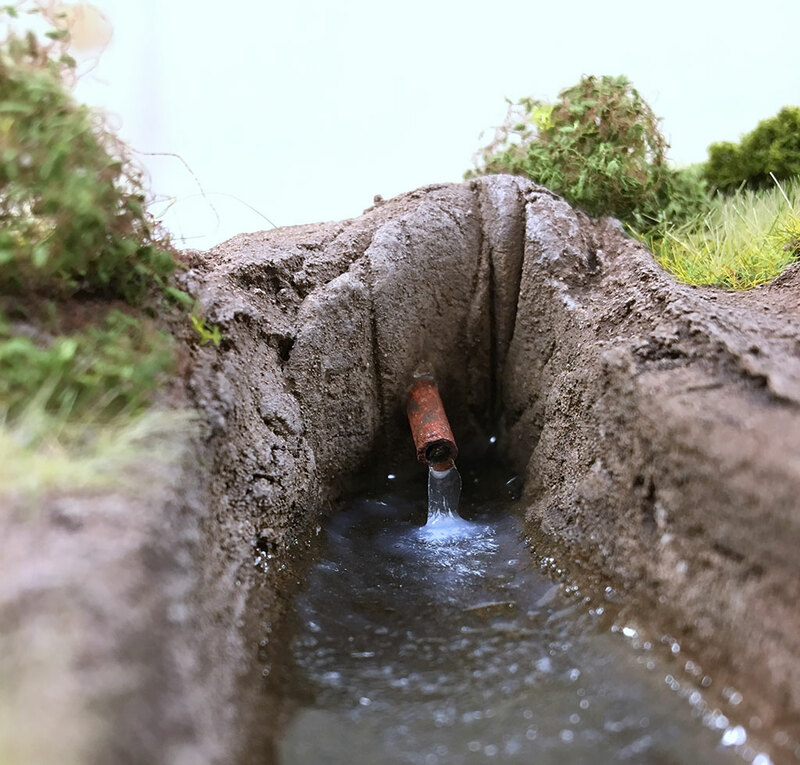 We´re also modeling a 60s style construction site with a leaking drain pipe.